Despite a big water temperature drop over recent weeks, the Trout fishing is still worth a go, especially during milder conditions. There are still some good buzzer hatches, however for consistent results the sinking line and lure approach is much more productive at this time of year. Especially with the number of fry that are shoaled up tight in the deeper water. One angler that fished from the boats and managed a nice brace of fish was Phil Green from Consett who fished the North basin and landed fish to 2lb on a Di-3 and fry patterns. Meanwhile HAC member Pete Welbourne also fished fly from the boats and landed 3 fish to 1lb 8oz. John Prichard from Wrexham fished the banking at the boathouse stretch on the Eastern bank and landed 4 brownies up to 2lb on a combination of worm and spinning tactics. All John’s fish were returned! Some nice Pike have been getting caught recently on both lures and dead bait! Season ticket angler Geoff Birtwistle from Bury fished from the boats and landed a nice plump double of 12lb to static Mackerel dead bait. Meanwhile Big s club member Matt Mclean took a 15lb 4oz beauty, again on static dead bait from the boats. Steve Hincks and Darren Lord from Blackpool have also been consistently catching from the boats with lures and have reported fish into double figure in recent weeks! Bank anglers have been getting their string pulled too. 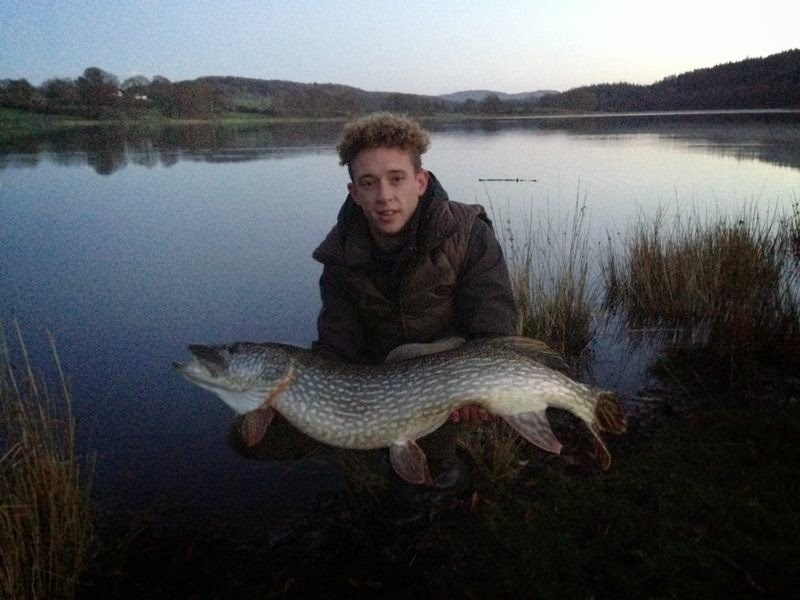 Indeed Reece Williams from Carlisle managed 4 fish in one day up to double figures, from the car park banking. However best recent capture was by Big s club member Luke Doyle from Manchester who landed a cracking 25lb specimen from the Strickland Ease banking on the Western shore of the lake. Luke’s fish was taken on static Mackerel dead bait (see attached photo). Coarse anglers are stilling hauling with 20 lb bags commonplace to feeder and maggot tactics. Best swims are the boathouse banking on the Eastern shore and the point opposite the ticket office. Don’t forget general silver fish day tickets are only £10 and are available until 14th March!